The Collin County sheriff said his office is looking into “security concerns” related to state Rep. Jeff Leach, days after the Plano Republican announced he would not allow a controversial abortion bill to leave his committee for a vote of the full House. Leach referred all comments on the matter to the Collin County Sheriff’s Department. The concerns come after Leach released a statement on Twitter Wednesday saying House Bill 896 would not leave the House Committee on Judiciary and Civil Jurisprudence that he chairs. 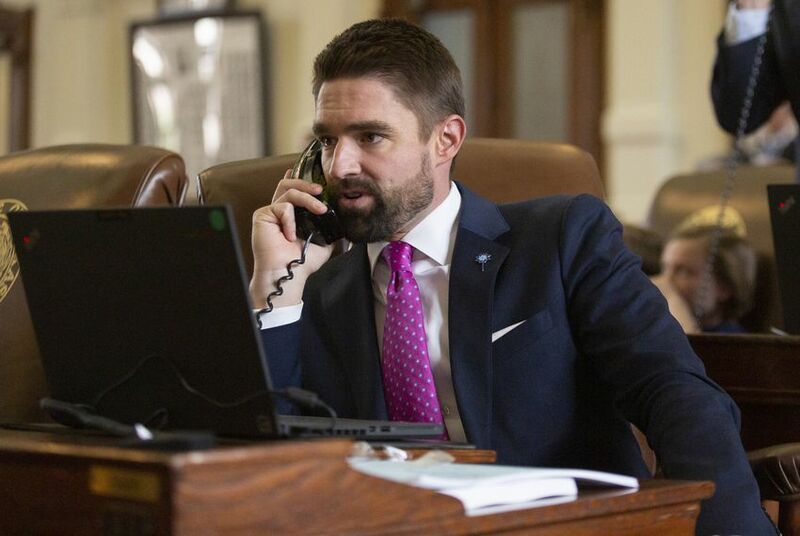 The bill from state Rep. Tony Tinderholt, R-Arlington, criminalizes abortion and opens up the possibility of prosecutors charging a woman who has an abortion with criminal homicide, which can be punishable by the death penalty under current Texas law. In his statement on the bill, Leach said the bill moves "our state and the pro-life cause in the wrong direction." “My commitment to advancing the pro-life cause is stronger than ever and that’s why I cannot in good conscience support House Bill 896 – legislation that subjects women who undergo abortions to criminal liability and even the possibility of the death penalty,” Leach said. Tinderholt's bill was the subject of a public hearing Monday that stretched late into the night, drawing nearly eight hours of public testimony from supporters and opponents. Tinderholt released a statement Wednesday evening defending the bill, explaining that exempting mothers from homicide charges would “treat unborn children differently than other people who are murdered.” He said that there are protections for women in the case of a medical emergency or coercion and prosecutors and juries can be trusted to “show deep sympathy” toward women. "Some think we should exempt mothers, but that would inherently treat unborn children differently than other people who are murdered," Tinderholt said. Jim Baxa, president of West Texans for Life, spoke in support of HB 896 at the committee hearing, calling it the organization's "number one" bill this session. State Rep. Victoria Neave D-Dallas, who sits on the Judiciary and Civil Jurisprudence committee, criticized the bill at Monday's hearing for changing the penal code in a way that could subject women who obtain abortions to the death penalty, potentially doing "to her the exact same thing that one is alleging she is doing to a child." During the 2017 legislative session, Tinderholt received protection from Department of Public Safety after receiving death threats for filing a similar abortion bill.